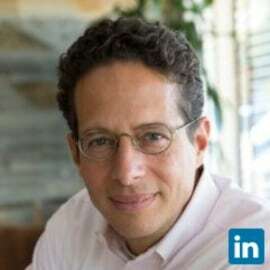 Ben Narasin is a Partner at Canvas, focused on early-stage venture investments in mobile, fintech, and marketplaces/eCommerce as well as exciting new categories. Ben was an active institutional seed investor for eight years before joining Canvas, during which he personally invested in 75 companies including Lending Club, Check, Kabbage, Realty Mogul, Dropcam, Zenefits, and many more world-class startups. Half of the companies he seeded went on to raise follow-on venture capital. An entrepreneur since the age of twelve, Ben ran startups through high school and college before founding Boston Prepatory Company, a menswear company. He then founded Fashionmall.com in 1993, one of the first e-commerce companies on the Web and the first cost-per-click based business, which he took public in 1999 on the NASDAQ. In the moments when Ben is not spending time with his entrepreneurs and family, he is also a professional freelance writer on food and wine for various print publications as well as writing online about technology and entrepreneurship. His work has appeared in The SF Chronicle, Wine Enthusiast, Wall Street Journal, TechCrunch, Venture Beat, Gentry Wealth, SV and many other consumer and trade publications. Read Ben’s writings at Venture & Venison.